This weekend the sky will be filled with fireworks, and many folks will take off for much needed weekend getaways. Whatever your plans are we'd love to be a part of it. We have deals in the golf shop and available tee times for the weekend. Don't forget we have 27 holes, so we can generally accommodate tee times and walk-ons, but we definitely recommend tee times by visiting our website or giving us a call at 734-728-1300. 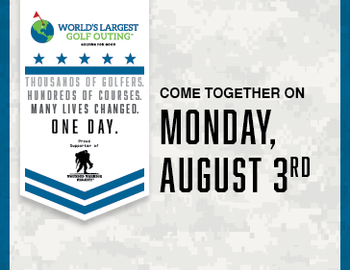 Also, we'd love to have you join us as we support the Wounded Warrior Project through donations at the register all month and our annual World's Largest Golf Outing on Monday, August 3rd. The outing comes with golf, food, prizes, and a built in donation to the Wounded Warrior Project. Visit worldslargestgolfouting.com to sign up at Fellows Creek today! Be safe and have a fun weekend!